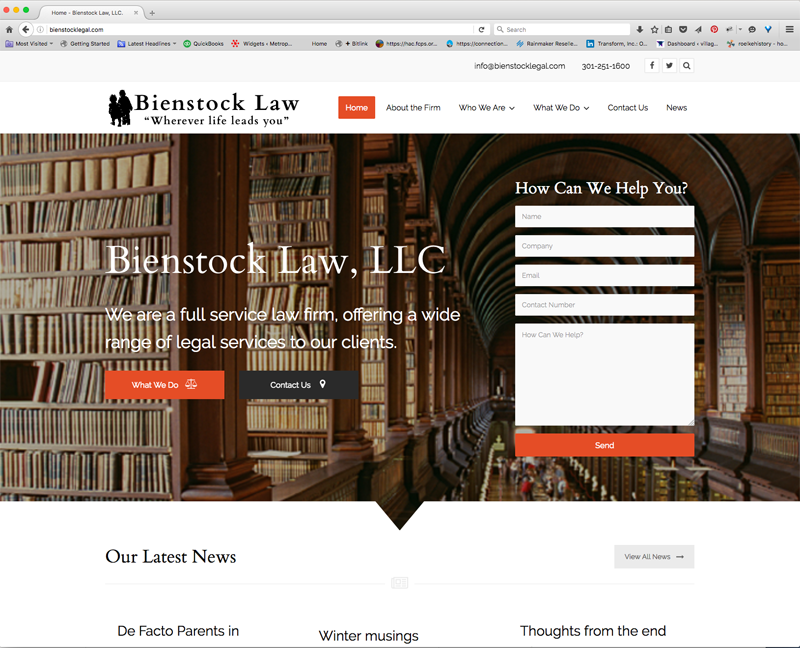 Bienstock Law needed to make a name change and approached me about updating their website. It was important to them to not look like every other lawyer site on the Internet. Using some unique images, we achieved that goal while maintaining a professional and clean style.